Bengaluru: In an attempt to appease one of its disgruntled MLAs, the Karnataka Congress is contemplating to pick him as a candidate for the upcoming Lok Sabha elections. MLA Ramesh Jarkiholi, in the last few months, has expressed his displeasure in the open and has even threatened to topple the Congress-JD(S) coalition government by aligning with the BJP. On Friday, a Congress minister E Tukaram hinted about a new move to keep Jarkiholi happy. At a function in Bengaluru, he told reporters that the party is planning to give him more responsibility. 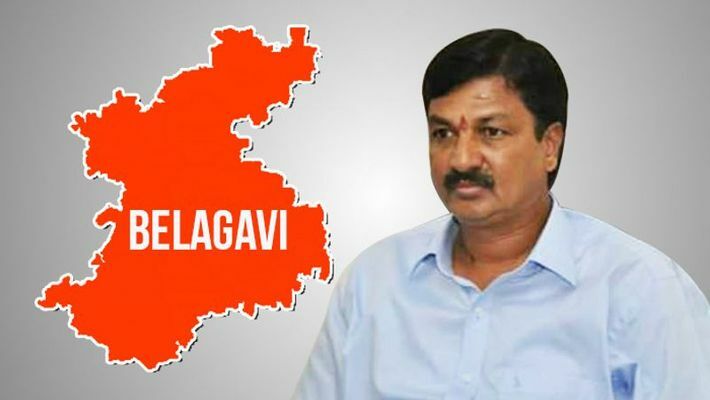 At the Kidwai Hospital in Bengaluru, medical education minister Tukaram said that Jarkiholi is one of the tallest leaders from the Mumbai-Karnataka region. And the Congress being a big party, some small differences will be there but that will not pose a threat to the government as all the issues and differences are sorted out, the party is united, he added. "Keeping in mind about the Lok Sabha elections in May, the party has decided to give him (Jarkiholi) a big responsibility as he is big leader. We do not have any issues and all the MLAs are united," said Tukaram. He further added that both the Congress and JD(S) will put up a united fight in Lok Sabha polls and win majority of 28 seats in Karnataka. To a question on Ballari district MLA B Nagendra and few others joining Jarkiholi at a Mumbai Hotel to switch to the BJP, the minister said the leaders are with the Congress and Nagendra will not go anywhere. With regard to Jarkiholi being sighted at a Mumbai hotel, he was on a personal visit, Tukaram said. Earlier, Congress sources said that to become closer to the party high command, Jarkiholi may opt to move to New Delhi by contesting Lok Sabha poll from Belagavi.